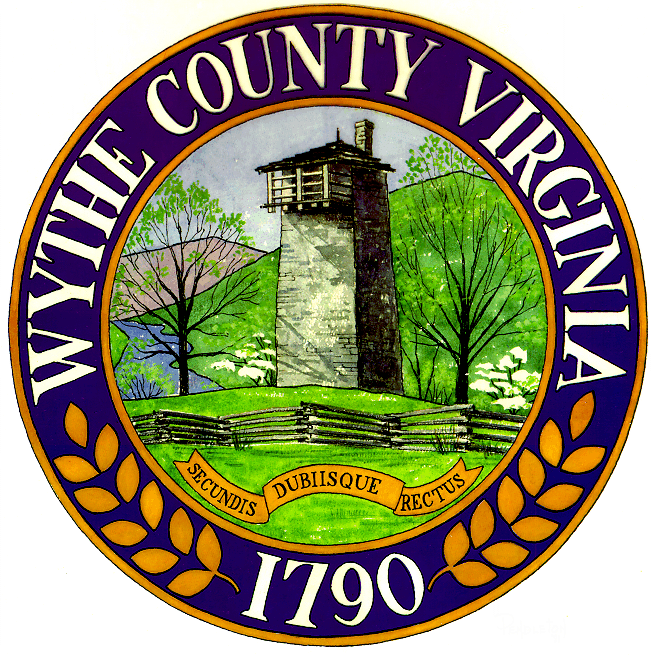 WYTHEVILLE, Va. – Wythe County planning officials are in the process of forming the county’s five-year comprehensive plan and are asking for the public’s input in formulating the details of the document. Virginia law requires localities to publish a comprehensive plan every five years, which serves to provide direction for county officials in decision making and setting the county’s long-term policies. The 20-question survey covers a variety of issues, including order of importance regarding certain county services, quality of life and residents’ opinions pertaining to best practices at spurring economic development. 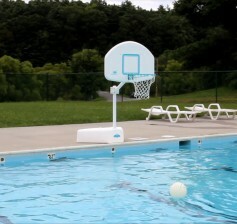 RURAL RETREAT, Va. — The Wythe County Department of Parks & Recreation will be hosting four aqua Zumba sessions throughout the month of July at the Rural Retreat Lake Pool. The one-hour long sessions will be held on each Tuesday of the month and instructed by Infinity Fitness’ Derek Ogle, a certified aqua Zumba instructor. Aqua Zumba is Zumba in a swimming pool. The instructor leads the class from poolside while participants follow the shallow water workout. Moves have been specially adapted to combine the same dance movements used in a Zumba Fitness class with those used in aqua fitness classes, creating a fun and effective total body workout. 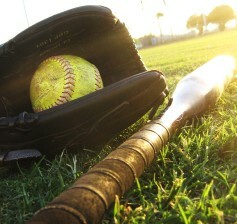 Participation in the class is open to all local residents ages 13 and over. Click HERE to sign-up to receive emergency alerts. 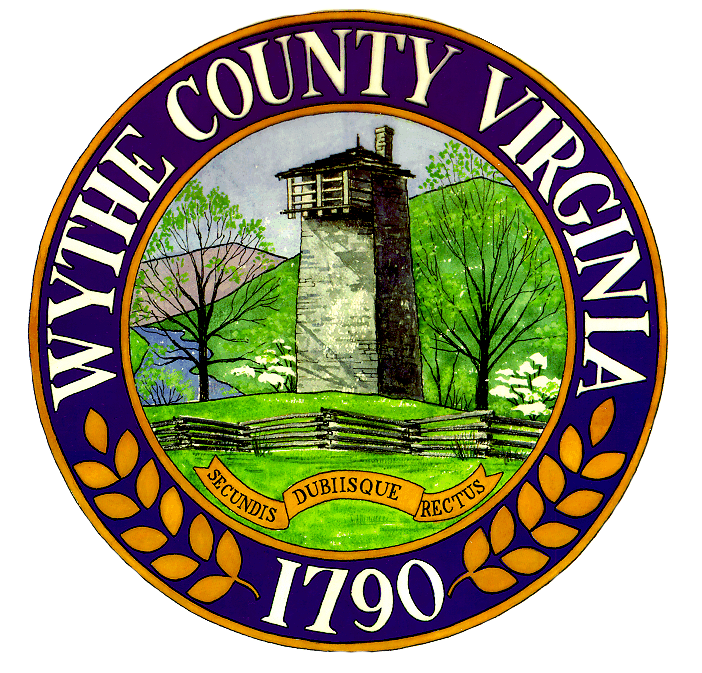 WYTHEVILLE, Va. – Wythe County officials are just days away from implementing a citizen notification system that will enable the county’s communications team to instantly alert citizens via landline, cell phone and email of severe emergencies. The software for the system is being provided by Everbridge, a California based company that specializes in sending mass notification alerts. In addition to being used around the globe, Everbridge’s emergency alert system has been credited for playing a vital role in the days following the 2013 Boston Marathon bombing. WYTHEVILLE, Va. – The Rural Retreat Lake Park & Campground got a new online home this week, with the unveiling of the public park’s new website, www.RuralRetreatLake.com. County officials say the new site will prove to be far more user-friendly than the park’s previous webpages, which were scattered throughout the county’s general information website. 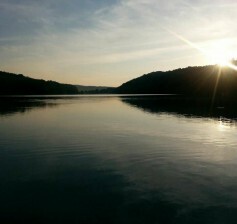 “Having a website dedicated exclusively to the Rural Retreat Lake will provide prospective visitors to the campground an easy way to access all the information available pertaining to the park; including hours of operation, rates and rules, reservation instructions and a list of upcoming events,” said Wythe County Parks & Recreation Director Kevin Williams. ROANOKE, Va. – Earlier today, members of Wythe County’s emergency management team participated in a railway safety program sponsored by Norfolk Southern. The program is part of a national effort known as “Operation Lifesaver” and is aimed at decreasing annual railway fatalities. Representing Wythe County were the county’s emergency manager, information officer, emergency communications director and sheriff. As part of the educational seminar, participants traveled by rail from Radford to the railway yard in Roanoke. 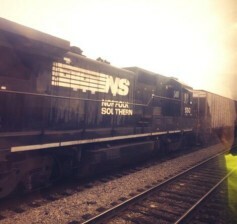 Along the route, safety officials from Norfolk Southern spoke to local representatives about activities localities can do in order to encourage railway safety. The Commonwealth is asking state residents for their input, as part of the process to develop Virginia’s 2014 energy plan. Wythe County residents will have three primary ways to provide input, suggestions, and recommendations to be considered as part of the Energy Plan. Public Listening Sessions – Six public listening sessions will be held throughout Virginia during June and early July. 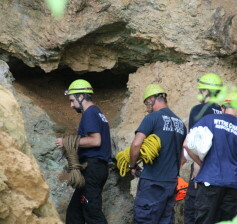 Southwestern Virginia’s will be held on June 24, 2014, at the Highlands Community College Student Center (100 VHCC Drive, Abingdon, VA), from 6 – 8 p.m.
SPEEDWELL, Va. – A group of spelunkers entered a cave just south of the community of Speedwell, Tuesday morning. The cavers were part of a summer camp from North Carolina, taking part in a training exercise inside the popular cave. Sometime that afternoon, a nineteen year old female found herself wedged in a narrow crevice inside the cave. Members of the group initially attempted to pull her free, but were unsuccessful in their efforts. At 3:32 p.m. the Wythe County E-911 Center received a call from members of the group, requesting emergency assistance in rescuing one of the cavers pinned between the crevices of two rocks.